Published on 7 January 2014. This (otherwise ideal) London hotel has always has a slightly unhealthy obsession with cushions, but this just takes the biscuit! Let’s hope it’s a one-off, and not a new policy for the new year! 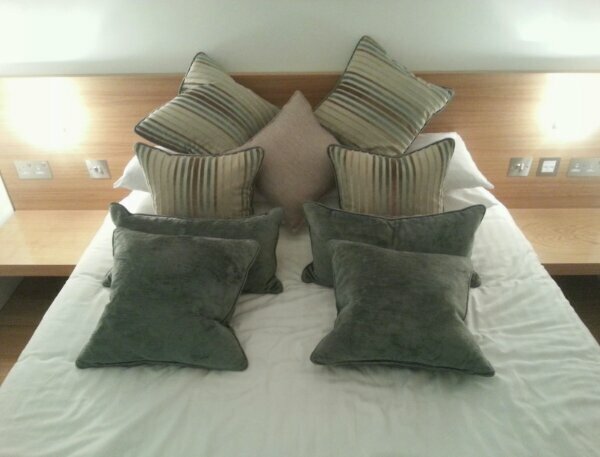 This 2,106th post was filed under: Photo-a-day 2014, Scrapbook, Cushions, Hotels.